This fearless table lamp mixes the rustic texture of hand glazed ceramic with the luxurious sheen of a silken shade. 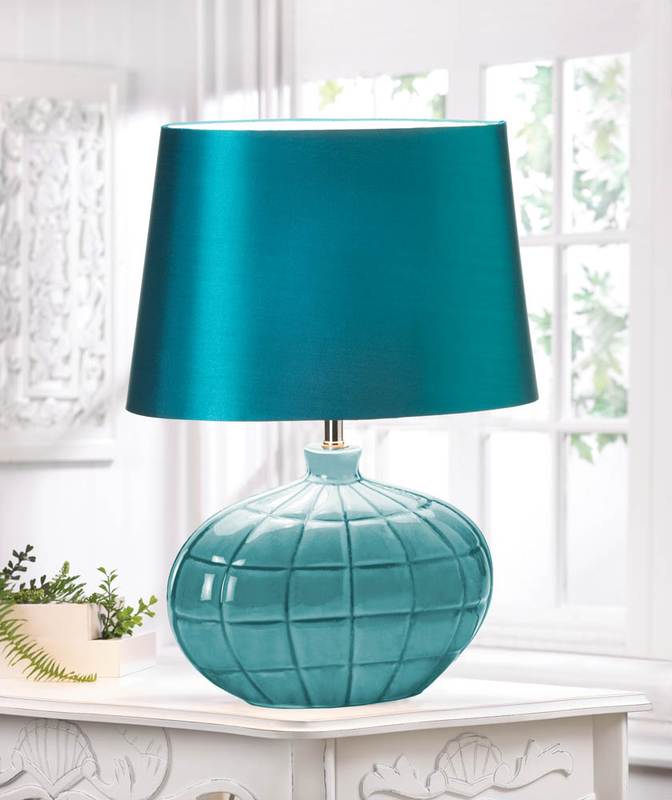 The depth of color in the shapely base is echoed in the vibrant teal shade that will illuminate your room with distinguished style. Item weight: 3.2 lbs. 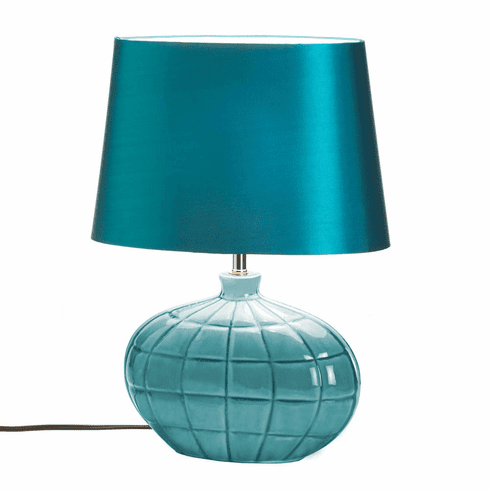 13½" x 7½" x 18¾" high; base: 11½" x 4½" x 8" high; lamp shade: 13½" x 7½" x 9" high: cord: 59" long.